Standing next to the Jordan River Parkway she championed as a member of the Salt Lake County Council, Jenny Wilson said recently that the federal government could stand to learn from and listen to local community leaders on public lands. Wilson, who co-founded the Jordan River Commission, pointed to the riverside trail system connecting Utah, Salt Lake and Davis counties as among her proudest accomplishments. It was the result of collaboration across partisan and municipal lines, she said, and millions of dollars focused on a public priority. Wilson, the Democratic nominee for the Senate seat of retiring Republican Sen. Orrin Hatch, has outlined several of her policy positions on land management and outdoor recreation, including the need for greater compensation of Utah’s rural counties by the federal government and a call for a reversal of the boundary reductions of the Bears Ears and Grand Staircase-Escalante national monuments. 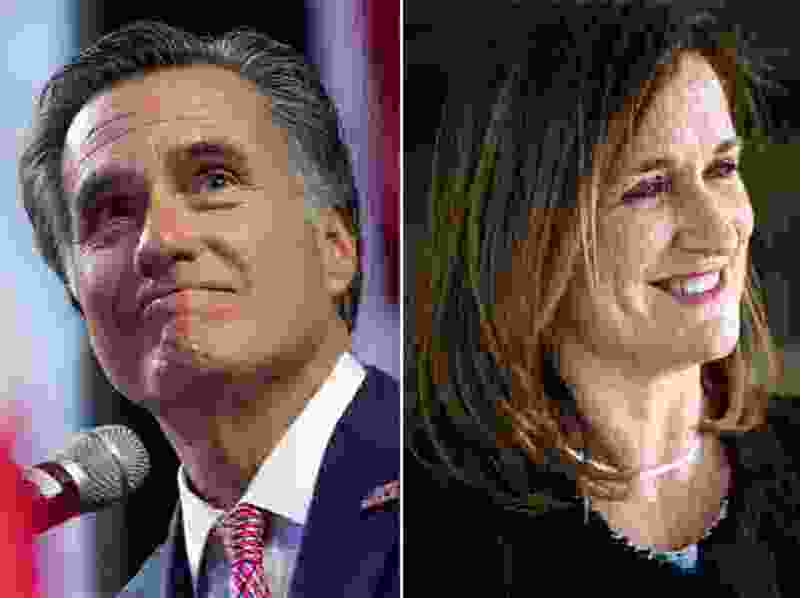 A spokeswoman for Senate Republican nominee Mitt Romney, the former GOP presidential nominee, declined a request for comment, instead referring The Salt Lake Tribune to Romney’s previous statements in the public record. Wilson • Before she served on the County Council, Wilson was chief of staff to then-Rep. Bill Orton, D-Utah. She has often remarked that the 1996 designation of the Grand Staircase-Escalante National Monument by President Bill Clinton cost her a job as public sentiment in Utah soured toward Democrats and Orton, who was defeated by Republican Chris Cannon that year despite Orton’s criticisms of the president. Despite the lingering animosity toward the designation, Wilson said Utah’s monuments have increased tourism dollars in the region and helped the economies of neighboring communities. The recent reductions of Bears Ears and Grand Staircase by President Donald Trump are not in the best interest of Utah, Wilson said, and lawsuits challenging Trump’s orders need to be settled quickly so compromise and collaboration can move forward. Wilson has also told The Tribune that she does not support alterations or amendments to the Antiquities Act, which grants power to presidents to create national monuments from federally owned land. Romney’s public record • The former Massachusetts governor told the St. George-based Spectrum and Daily News in March that the Antiquities Act needs changes, such as a proposal to require state legislatures to approve the designation of large monuments. He also told The Spectrum he could support programs in which state governments are awarded funding and oversight over small areas of federally managed lands. "The state would do a better job because we care so deeply,” Romney was quoted. While Romney is an occasionally vocal critic of Trump, he cheered the president’s decision to revoke large swaths of the Bears Ears and Grand Staircase monuments, writing in a tweet that the reversal was part of a “very big week” for Hatch, who had lobbied Trump to rescind the designations. Wilson • There is a “culture war” over public lands, Wilson said, exacerbated by two factors: Utah’s all-Republican federal delegation shutting out opposing voices and a failure by the federal government to adequately compensate counties for the acreage it controls. Areas impacted by federal land holdings receive payment in lieu of taxes, or PILT. But Wilson said those payments have been inconsistent and insufficient for Western states, where a significant portion of land is federally owned — including two-thirds of Utah’s total footprint. “It’s leaving our communities behind as it relates to basic services and needs,” she said of the current funding scheme. She credited the efforts of Democratic senators like Oregon’s Ron Wyden for preserving PILT against efforts to cancel the payments by Republican budget-cutters. Romney’s public record • In April, Romney told the Vernal Express that because he ran for president, campaigned with many U.S. senators, and has known Trump for many years, he will have more clout than the typical freshman senator from Utah. As a result, he said, he’ll be in a better position to defend Utah’s interests in Washington, including support for rural communities. Wilson • Wilson emphasized her Utah roots and ties to the state’s outdoor recreation areas in what could be seen as a dig at Romney’s out-of-state origins. Romney’s public record • The question of Romney’s Utah-ness has been frequently raised by his opponents, including state Rep. Mike Kennedy, R-Alpine, in the lead-up to the state’s GOP primary. And before Romney formally declared his candidacy in the state, his presumed run was criticized by Rob Anderson, the Utah Republican Party chairman. Anderson later walked back those comments in a Facebook post after, he said, speaking with and apologizing to Romney. Romney was raised in Michigan and later served as governor of Massachusetts from 2003 to 2007. But he has long had a connection to Utah through his membership in the state’s predominant faith, The Church of Jesus Christ of Latter-day Saints, his role as president and CEO of the 2002 Winter Olympics Salt Lake Organizing Committee, and his ownership of property in Park City. Since moving to a 5,900-square-foot home in Holladay — with a hidden room behind a bookcase — Romney has called the Beehive State home. In 2015, former Utah GOP Chairman Thomas Wright told The Washington Post that “Utah’s favorite adopted son” was now a Utahn. Romney’s video announcing his Senate candidacy begins with a comment about Utah’s “beauty.” And, in July, Ann Romney tweeted photos of herself, Mitt Romney and some of the couple’s grandchildren hiking at Delicate Arch in Arches National Park and at Utah’s Dead Horse Point State Park.